Welcome to Make-It-Monday with the Kraft Outlet. Challenge #4 theme for this week is "Groundhog or Furry Little Critters" (in honor of Groundhog Day on February 2, of course!). Use this week's theme to inspire you to create a project and then link it up at the bottom of this post before 6:00 p.m. (Eastern Time) on Sunday February 6. All participants in our challenges for the month of February have a chance to be featured on our "Feature You Fridays" posts as well as be entered to win a $15.00 Kraft Outlet Store Voucher! The more challenges you enter this month, the more chances you have to win! Remember to follow our challenge guidelines to include either Kraft cardstock or products from Kraft Outlet on your project to be eligible for the prizes. 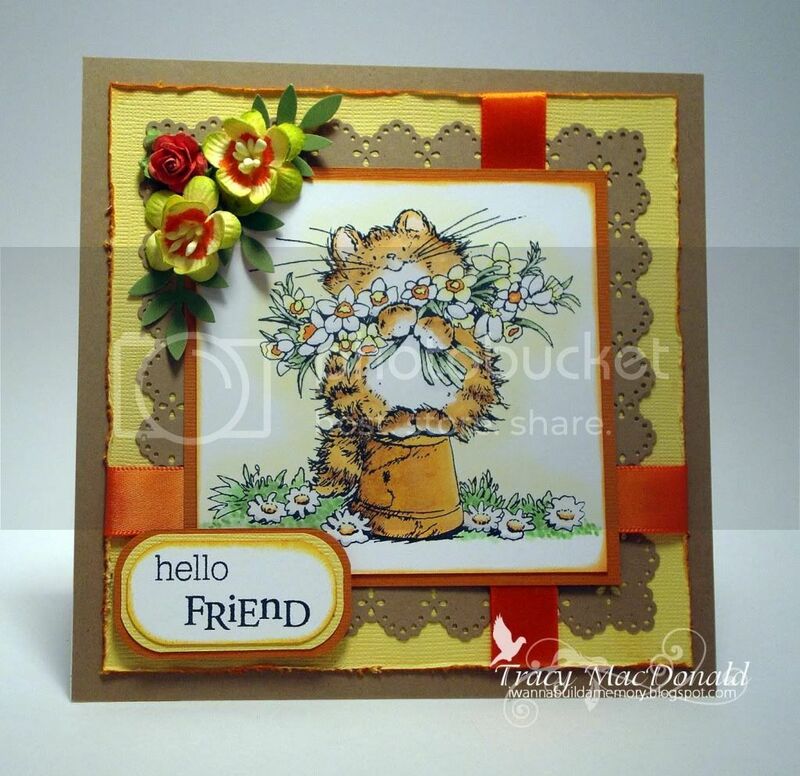 ﻿﻿﻿For this week's Furry Little Critters challenge, Aphra chose to create a fun kids' card. 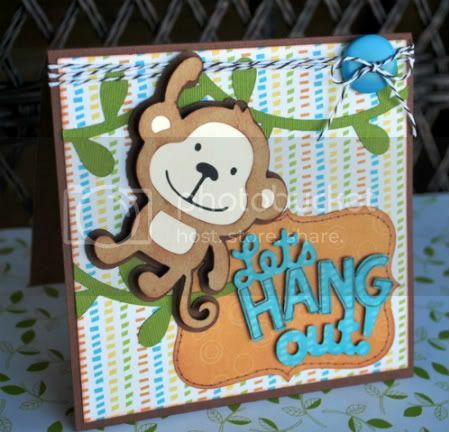 She used Lunch Bag Kraft Cardstock and Buff Ivory Text Weight Paper for cutting out the monkey with her Cricut, Create a Critter cartridge. The cross hatched texture of the buff paper adds such a nice detail to the monkey's face. She cut her scalloped label and sentiment from patterned paper and then faux stitched around the edge of the label. And for the finishing touch, she added Brown Baker's Twine and a button to the top. ﻿Furry little critters are right up Kristina's alley! 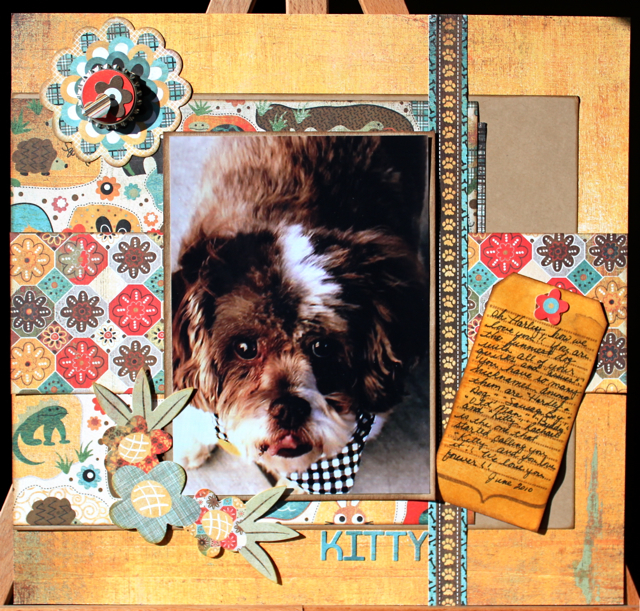 She chose to make a fun layout all about her beloved dog, Harley. Kristina used another Bottle Cap this week along with Lunchbag Kraft Cardstock for her photo mat, Brown Kraft Cover Weight Cardstock for a background layer and a Grungy Prim Tag for her journaling. 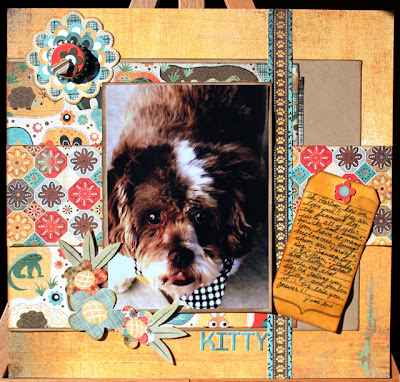 You can see more about this layout on her blog, Kristina's World. Tracy's groundhog/furry critter project this week is made with an adorable Penny Black stamp colored with Copic markers. The mat base and decorative mat are both Kraft Outlet Brown cover weight Kraft Cardstock, a perfect blend with the yellows and oranges. You can find more information about all the elements on the card at Tracy's blog. We hope you join us for this week's challenge (just link it up below) and be sure to stop in again Wednesday for Watch Us Wednesday with Audrey! Such fun designs for this Furry Little Critter Challenge! Great job Designers! Oh boy! I'm going to enter this one! I love critters!